Michael Mihm’s unique trial practice focuses on plaintiff-side legal malpractice, commercial, and personal injury litigation. He is admitted to practice in California and Colorado, but represents clients in courtrooms nationwide. Michael has obtained some of the largest plaintiff legal malpractice jury verdicts and settlements in the United States, and many multi-million dollar verdicts and settlements in commercial and personal injury litigation. Michael is a co-founder of Ogborn Mihm, LLP, and practices from both the Denver and Los Angeles offices. He is one of the few plaintiffs' attorneys in the United States to be certified as a specialist in legal malpractice law by The State Bar of California Board of Legal Specialization. Michael is included among The Best Lawyers in America® in the field of Commercial Litigation and, also, Legal Malpractice Law-Plaintiff, for which he was three times named the Denver "Lawyer of the Year" (first in 2015, again in 2017, and again for 2019). In 2018, Michael was named by Colorado Super Lawyers® magazine as of one of Colorado’s “Top 100” lawyers. Michael is a Past President of the Colorado Trial Lawyers Association, the largest specialty bar organization in Colorado. Michael is student and practitioner of the art of trial persuasion. Michael believes that every client has a simple and compelling story, regardless of how complex the case may appear on the surface. Thus, Michael and his team make the client’s story the center of every case, and work tirelessly to find and tell the client’s story. Michael and his team routinely use focus groups, multi-media technology and cutting-edge trial techniques to discover and best present the client’s case at trial. While Michael believes that a client is best served by intense preparation, tenacious representation, and unfailing professionalism, he and his team also under understand that a client’s goals and objectives are paramount. Thus, the team includes the client in every major decision of the litigation process. Michael and his team never forget that, ultimately, the case is the client’s case. 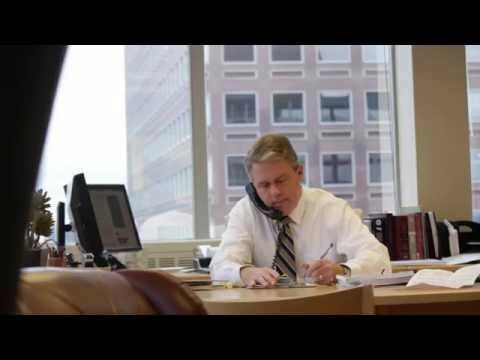 Michael has prosecuted or defended hundreds of legal malpractice lawsuits, has tried many such cases, and has also served as an expert witness in many such suits. Since 2005, Michael has served as an author and managing editor of Lawyers' Professional Liability in Colorado, 2017 Ed. (Michael T. Mihm ed., CLE in Colorado, Inc., 2017). This two-volume, 57-chapter treatise, updated annually, focuses on lawyers' professional liability and legal ethics issues. Click here to see more about or purchase Lawyers’ Professional Liability in Colorado, 2017 Edition. Michael's legal malpractice clients come from all walks of life, but are most often companies or business people. His legal malpractice cases typically involve underlying business or real estate transactions, including tax, estate planning, intellectual property, patent law, land use, and many other matters. However, Michael also handles non-business related legal malpractice cases. For example, Michael and his colleague, Elizabeth “Betsy” Hyatt, recently represented pro bono a young man who was sentenced to life in prison at age 15 for a murder that he did not commit, and who, after 14 years in prison, was released from custody. Michael and Betsy sued the negligent criminal defense counsel on the young man's behalf and recovered a confidential settlement. Michael also has a significant business and corporate litigation practice. Michael's business litigation often involves claims arising from breach of contract, corporate control, oil and gas transactions, real estate disputes, oppression of minority business owners, partnership disputes, theft of trade secrets, intellectual property disputes, computer fraud, and claims arising from breaches of fiduciary duty and other misconduct by company insiders. Michael also personally tries select medical malpractice, wrongful death and catastrophic personal injury cases. For example, in 2017, Michael and his team tried (and lost) a medical malpractice case, but then negotiated a $3.0 million settlement in a wrongful death case arising from an automobile-bicycle accident. Michael’s firm has a significant personal injury practice, and recently obtained a $100 million settlement in a products liability claim arising from a helicopter crash. http://denver.cbslocal.com/2018/02/01/dave-repsher-air-crash-settlement. In recent years, Michael has tried cases to verdict or handled lawsuits in California, Colorado, Florida, Nevada, New Mexico, Oklahoma, Utah and Texas. In June 2017, Michael tried (and lost) a medical malpractice case. In October 2016, Michael obtained a nearly $2.0 million arbitration award (later confirmed as a judgment) in a breach of contract dispute on behalf of a minority owner being squeezed out of a recreational marijuana business. 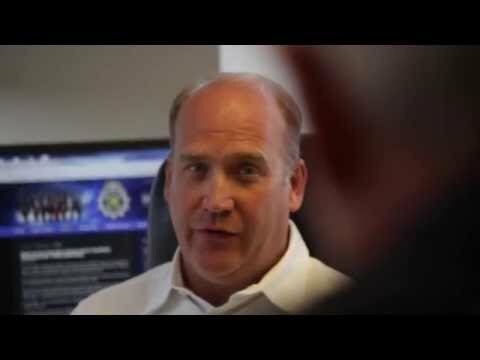 In June 2015, Michael obtained a jury verdict in a business fraud/partnership dispute that later resulted in a confidential settlement and favorable buy-out of our client's partnership interest. In April 2014, Michael obtained a $2.5 million jury verdict on behalf of the owners of a prominent Colorado retail business in a legal malpractice case arising out of an attorney's breach of fiduciary duty when aiding a trustee in an attempt to seize control of the family-owned company. In June 2013, Michael and his partner, Mike Ogborn, obtained a $12.8 million jury verdict in state district court of Salt Lake City, Utah. The verdict, then one of the largest plaintiff legal malpractice jury verdicts in U.S. history, arose out of a prominent law firm's mishandling of a development application for an 8,650 acre ranch near Park City, Utah. http://www.bizjournals.com/portland/blog/2013/06/stoel-rives-ordered-to-pay-128m-in.html?page=all. Michael also represents clients in select probate or inheritance litigation matters, usually involving very large estates and usually at the request of probate lawyers when it appears that a matter is headed to trial. Michael has been inducted as member of the American Board of Trial Advocates (ABOTA). He is a graduate of the Gerry Spence Trial Lawyer’s College in Dubois, Wyoming. Michael served many years as an officer and, in 2014-2015, as President of the Colorado Trial Lawyers Association (CTLA), an organization of approximately 1,300 plaintiff and consumer trial lawyers in Colorado. Michael continues to serve on the board of directors of CTLA. Michael is a past-president of the Board of Directors of CLE in Colorado, Inc., the publishing and continuing education arm of the Colorado and Denver Bar Associations. In addition to CTLA and the Colorado Bar Association, Michael has been active with the American Bar Association (ABA), the American Association for Justice (AAJ), and the International Society of Primerus Law Firms. Michael currently serves on the Executive Committee of the Primerus Personal Injury Institute. Michael writes and often speaks on trial practice, professional ethics and malpractice prevention to lawyers and bar associations. Michael grew up in rural Michigan and Oregon, the eldest of six children. Michael worked his way through college and graduated with honors. While in college, Michael also served for a year as a missionary in the Republic of Indonesia, teaching English as a Second Language. After college, Michael attended the University of Southern California Gould School of Law. Michael began his legal career in 1983 as an associate attorney with a banking law firm in Beverly Hills, California. In 1985, he moved his young family to Colorado, resolving to become a trial attorney, and soon became a trial partner in one of Colorado’s largest defense firms. In 2003, Michael formed the boutique trial law firm of Starrs, Mihm & Caschette LLP to focus on plaintiff-side legal malpractice litigation and commercial and business tort litigation. 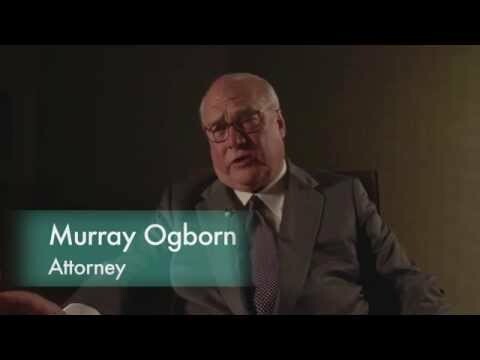 In 2012, after both of Michael’s partners became district judges, Michael formed Ogborn Mihm, LLP, with the father and son team of Murray and Mike Ogborn. Michael served as the firm’s managing partner for many years, and is now the co-managing partner with Mike Ogborn. Michael is married to Nanette Amier Mihm, a volunteer Court Appointed Special Advocate (CASA) for children in the legal system. Michael and Nanette have two adult children and two small grandchildren with whom they are enamored. Author, “Finding Our Moral High Ground,” TRIAL TALK, Vol. 64, Issue 2, February /March 2015, at 5. Managing Editor, LAWYER’S PROFESSIONAL LIABILITY IN COLORADO, 2015 Ed. (Michael T. Mihm ed., CLE in Colorado, Inc.). This two-volume, 1500 page treatise focuses on legal ethics and lawyers’ professional liability issues. Co-Author, with Quintana, N, “Tort or Breach of Contact? The Economic Loss Rule and Why It is Important to Your Practice,” TRIAL TALK, Vol. 63, Issue 5, August/September 2014, at 29. 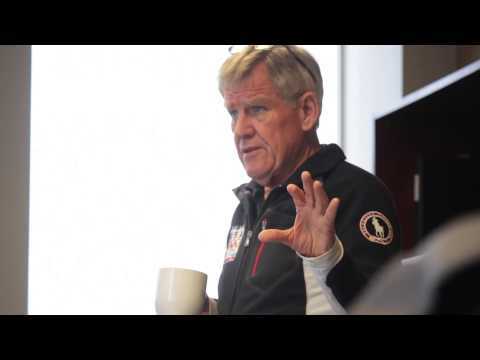 Author, “Tip Of The Spear,” TRIAL TALK, Vol. 63, Issue 5, August/September 2014, at 5. Author, “Avoiding legal Malpractice in Interstate Trucking Cases,” The Lawyer’s Log Book, Vol. 1, No. 4, Oct-Nov 2011, at 32. Managing Editor, LAWYER’S PROFESSIONAL LIABILITY IN COLORADO, (CLE in Colorado, Inc. 2005) (including annual updates from 2006 through 2015). This two-volume, book focuses on legal ethics and lawyers’ professional liability issues. Moderator and Program Planner, “Hardball Tactics and Stupid Lawyer Tricks: Maintaining Civility in Litigation,” ABA Section of Litigation and ABA Center for Continuing Education (telephone and webcast seminar) (February 2010). Michael was named the 2015 Denver "Lawyer of the Year” by The Best Lawyers in America® in the field of Legal Malpractice Law-Plaintiff. In November 2014, Michael was inducted as a member of the American Board of Trial Advocates (ABOTA). In April 2014, Michael, with his colleagues Thomas Neville and Clayton Wire, obtained a $2.5 million jury verdict in a legal malpractice case involving control over a successful family-owned company. 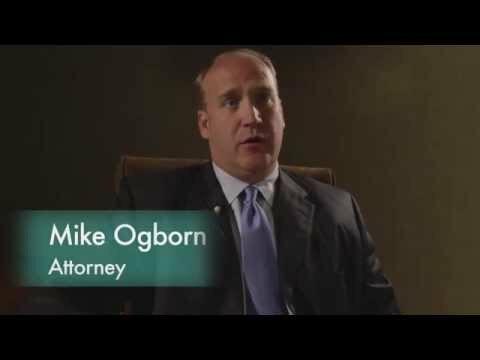 In June 2013, Michael Mihm, with his partner Mike Ogborn and trial team at Ogborn Mihm LLP, obtained one of the largest legal malpractice verdicts in the United States in recent years against one of America’s largest law firms. http://www.bizjournals.com/portland/blog/2013/06/stoel-rives-ordered-to-pay-128m-in.html?page=all . Michael Mihm has for five years been named among The Best Lawyers in America® in the field of Legal Malpractice-Plaintiff. U.S. News & World Report-Best Law Firms also ranks Ogborn Mihm, LLP as a Tier 1 Firm in the field of Legal Malpractice - Plaintiff. Michael is the Immediate Past President of the Colorado Trial Lawyers Association (CTLA), at 1,300 members the largest specialty practice bar association in Colorado. 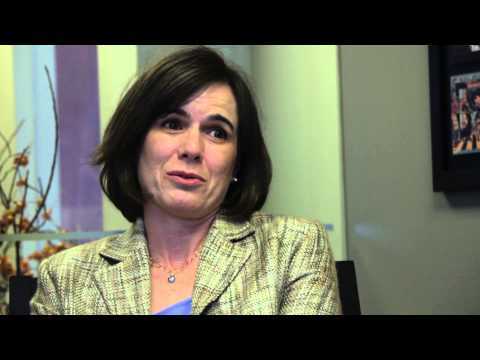 CTLA is the primary organization for plaintiff and consumer attorneys in Colorado. Michael is managing editor of Lawyers’ Professional Liability in Colorado, 2015 Ed. (Michael T. Mihm ed., CLE in Colorado, Inc.), a two-volume, 1,500 page treatise on legal ethics and lawyers’ professional liability. Michael also authored or co-authored six chapters in the treatise. Michael previously served as president of the Board of Directors of CLE in Colorado, Inc., the nonprofit publishing and education arm of the Colorado and Denver bar associations, and the premier legal publishing and education organization in the state. CLE in Colorado annually publishes more than 30 books and practice guides and presents more than 100 live education programs on a multitude of legal topics. Michael volunteers countless hours for the Colorado Trial Lawyers Association. His work includes testifying before the state legislature in favor of consumer-friendly legislation, taking on pro bono matters at the firm through CTLA for disaster assistance such as flood and fire, and direct advocacy. He also spent many years as a member of the Board of Directors of CLE in Colorado, Inc., the publishing and continuing legal education arm of the Colorado and Denver Bar Associations. Note: Colorado does not certify lawyers as specialists in any field.